So all the dads now will stand up and pump their chest and say "look what we've done!" while really not accomplishing anything other than getting a few free razors. I would hope that we are smarter than that and realize all these campaigns are BS. I hate to be devil's advocate here, because I totally get your complaints... but that said it surprises me a lot that no one from Philips has simply said "We call them 'Mother & Child Care' products because they are products used to care for MOTHERS (pregnancy and post-natal care, breast pumps, etc.) or for CHILDREN (feeding, pacifiers, monitors, etc.)." The way I see it, any product a dad would be using with his kid falls under the "child" category. Also, honestly in my experience publishing a few books it can take a looooong time for Amazon to update product descriptions, which are often copy/pasted by resellers anyhow. It's not something Philips can just go in an edit that themselves. You can be a devil's advocate--after all, I was your devil's advocate during the Huggies extravaganza. Now, it's one thing to have a mother's section and a child section, but using that as a reason would have been stretching it a bit, and in my opinion, would have come out as even worse than what I got, which was, "Hey, change takes time! But we do care!" And the thing is that an entire giant company has moms in the child-care section, in the grooming section, and in the lighting section(? ), but no dads. There are men enjoying good music, a large screen TV, and a shaved chest, but no dads. It's OK for a company to do that, but don't sell me "The New Face of Dad" while you ignore fatherhood. And as for Amazon, if the marketing guy yesterday would have told me that 6 months ago they submitted the change to Amazon, I would have seen that as a positive change. I don't believe they cared enough to do that, and I think they should be called out for that. Oh, I think your objections are totally valid. I more meant that it surprises me that that isn't their explanation. And I want to be clear, I am behind you 100% on calling them out. Even if their Mother & Child Care section IS justifiably named, it's very much a wasteland when it comes to depictions of dads. You complaints are completely legit and could be directed at most brands that make stuff for babies. Philips Norelco is responding at least in part by creating a campaign directly targeted at dads. Most brands haven't yet shown any signs of change (though I'm still optimistic). Should I turn them down because past marketing efforts have ignored dads? And I like the tone and nature of the campaign that they have put together. You should at least watch because I think we've all tried to talk honestly about what being a dad today feels like. And the brand is paying for the work, which is arguably a good thing for dad blogs overall. So how much do you make working for Philips? Any openings? See, it's not even an issue of marketing. The marketing is there, but there's nothing behind it. They say they target dads, but what they really target is the bandwagon of dads' egos. 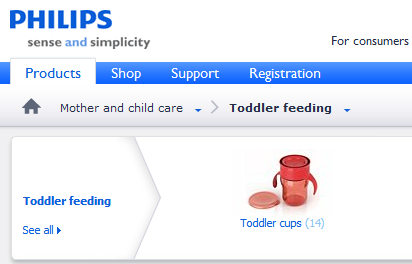 Like I said, the entire Philips site has no mention of dads or fatherhood, and a whole lot of moms. And again, they can do that, but they can't sell me dads without selling fatherhood. Above comment is me, Clay Nichols, Daddy Clay of DadLabs. Not sure how I borked the login. 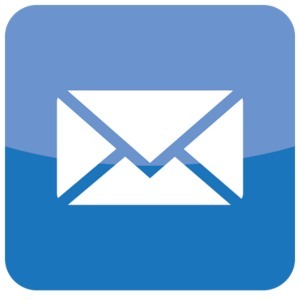 I'll be on DadLabs this afternoon to discuss this. Hope you'll be there to join the conversation. I know I get a lesser say here being of the womanly persuasion (ha), but I'm having trouble with the analogy between Huggies and this. Seems to me there's a tremendous difference in saying "dads are so incompetent, even they can use our product!" 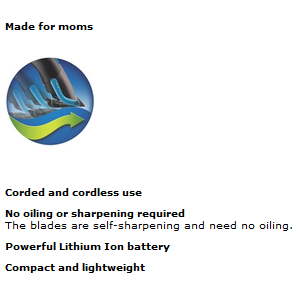 And Phillips saying "moms tend to do their kids' hair-cutting most often, so here's a product made just for their hands, to differentiate from the others." I'm highly attuned to gender issues in marketing and write about it often. However acknowledging that there are super moms in the world does not lead me to believe that there are no super dads. I agree. Targeting moms is not offensive. Implying that dads are incapable or less than is an entirely different story, and I'm not getting that here. I'm participating in this current Philips Norelco campaign because it showcases dads in a very real way, and that's a good thing. Could they revamp some of their other marketing? Sure. However, I feel that Philips is a brand that is making an honest effort, because I have made an honest effort. I'm proud to help move it, and any subsequent conversation about fatherhood, forward. Hey, sometimes I have womanly persuasions too. But I disagree. Huggies made a mistake by playing into stereotypes, but at least they've been consistent in portraying dads who do the parenting thing. Philips, in my opinion, is much worse because--like another offender, Amazon with its "Amazon Mom" program--they ignore fatherhood. They dismiss dads because a larger percentage of moms buy their stuff. And it would have been all OK, business as usual, if they didn't try to sell a "We care about dads" marketing campaign. And about the grill, first of all I can't tell you how I hate these dad/dude stereotypes of dads. Each retail website has a grill, a drill, and golf clubs on the home page before Father's Day, because obviously there's only one kind of dad. Other than that, as a guy whose mom taught him to play soccer, I do hope things change. Marketers shouldn't simply install Mom in the Dad stereotype of grills and drills, but I'd love to see a mom who plays soccer with her kids, rather than just be a soccer mom stereotype. Whit, I understand what you're saying, and it's basically what Doug said on DadLabs today. But my answer is that when a brand gives you the opportunity to advance an image of changing fatherhood and all that good stuff, it must have include some kind of real change. Norelco and Philips ignore fatherhood on their site. Dozens of moms, and not one dad on the entire giant site, with its multiple brands and labels. They should be called out, because with no pressure, all we have here is a hollow campaign with no relation to the reality the brand represents. Similar to Whit, we're participating in the latest campaign for Phillips Norelco. For us working with them was a good fit because they're one of the biggest brands in shaving. They also stepped up and supported Movember in November 2011. While they may have a way to go in their online support of dads, they did donate dozens of razors to the folks that raised money for colon cancer. Trey, I disagree. If a company markets parenting items only to moms, that company doesn't simply have a way to go--it actually hasn't taken a first step. It's not enough to give razors to dads or money to dads' favorite charities--the company should start by selling parenting items to both parents. 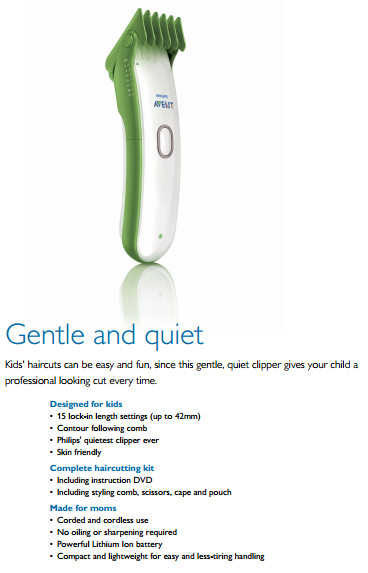 Dads aren't just people who groom themselves while Mom is changing diapers, and when Philips Norelco acknowledge that, I'll see that as a first step. After going through my crazy divorce, fighting for and being granted full custody of my kids, nothing surprises me. The whole mind set from the courts to the schools was "Dad Can't." Well this dad and many others CAN. I can't say that I would expect anything less than a "Marketing Ploy" from a big biz though. They are in it to make money and could care less at how it gets in their pockets. This Norelco is just more evidence of that. Thanks for standing up to those folks! Thanks. I can clearly see the board meeting that led to this campaign. 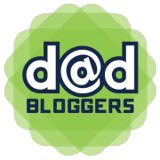 Someone mentioned Huggies, someone else mentioned blogging dads, and everyone had Dollar signs in their eyes. I'm pretty sure no one mentioned the fact that the one parenting item the company sells is marketed solely at moms, because that's not a marketer's concern. Their job is to throw a colorful veil over reality. Looks like they did a good job. As a mother I was interested in your post. 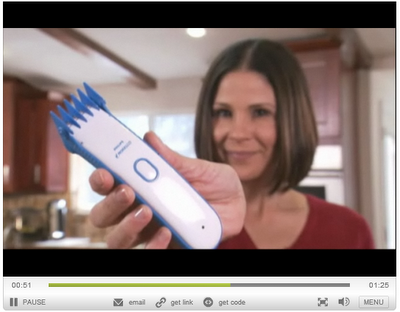 What gets to me as the way products are simplified so that "even a woman can use it". I'm fortunate to have a long term husband and father to my children (now grown up), but I assure you that I managed to change fuses and light bulbs without help. And like I wrote in one of the replies above, mothers should be able to be portrayed as more than "great at managing a home." Mothers play sports with the kids and change tiers on the way to the games.